Aah, Mass Effect. That was a great trilogy, wasn’t it? Well, Andromeda is looking set to be a bit of a different beast. 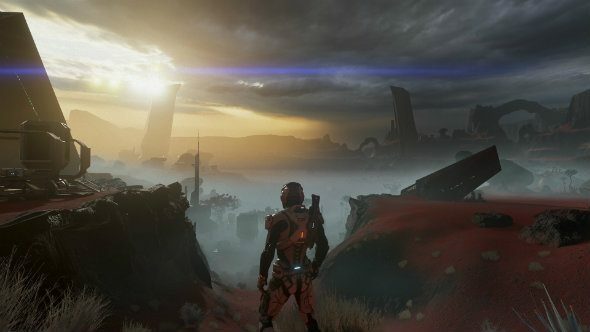 It’s a fresh start for a new series of Mass Effect games – though not another trilogy based around the same hero – and it’s set in an entire new galaxy. That means not all the alien races found in the original trilogy will be along for the ride. For more tough decisions and levelling up, check our list of the best RPGs. Mass Effect: Andromeda sees a bunch of Milky Way races head to the new galaxy aboard massive ark-style ships, looking to create a forward operating base from which to bring more species across. Presumably this opens later games in the series up to add other races to the initial bunch, once those pioneering races gain a foothold. As for who will be in Andromeda, we know humans, salarians, asari and turians each have their own ark filled with thousands of their kind. Krogans will be hitching a ride on one of these colony ships, too. It hasn’t been revealed how many new intelligent races we’ll meet in Andromeda, but I’d guess there are a bunch – this is an entire galaxy, after all. We do know a little about the kett, however, who will be the primary antagonists. All I know for sure is that if there isn’t a single hanar in the game I will throw my PC at a wall.